Be the first to hear about their new releases and deals. Download the Booksprout app and search for Hope Callaghan today! 2017 Winner Mom's Choice Award! Hope loves to connect with her readers! Sign up to get FREE books and other goodies and be the first to know about her new books. Born and raised in a small town in West Michigan, she now lives in Florida with her husband. She is the proud mother of one daughter, a stepdaughter and stepson. Check out Hope's Brand New Series,"Made in Savannah"
Book 7 - Coming Soon! In July 2014, Hope began her fiction writing career with the Deception-Samantha Rite Christian Mystery/Suspense Trilogy. The series begins as Samantha Rite embarks on a much needed cruise vacation that soon turns into a deadly adventure of a lifetime. In November, 2014, Hope introduced us to her second series...the Garden Girls Christian Cozy Mystery Series, which is set in the cozy little town of Belhaven, Michigan. Gloria Rutherford, a lonely and bored senior citizen forms the Garden Girls Club with a few of her girlfriends with the intent to help the local "shut-ins" to bring them fresh fruits and vegetables from their gardens. When a body is found behind the town's elementary school, Gloria puts on her amateur sleuth hat and with the help of the other Garden Girls, helps solve the mystery. The series currently includes 13 books, with more books planned for the series. 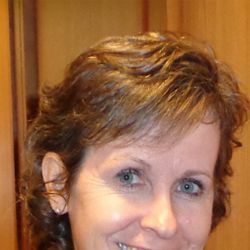 In June, 2015, Hope combined her love of cruising with her love of writing Cozy Mysteries, which brought about the Cruise Ship Cozy Mysteries Series of books. Millie Sanders is introduced as a heartbroken senior sleuth who lands the job of a lifetime as the assistant cruise director aboard the mega passenger cruise ship, "Siren of the Seas." Before Millie has a chance to settle into her new position, she finds herself in the middle of a murder investigation. Book 10 - Coming Soon! In November 2015, Hope introduced the Sweet Southern Sleuth Short Stories. The series is about identical twin sisters, Loretta and Lacy Sweet, who inherit property in the small fictitious town of Misery, Mississippi and the crazy adventures they find themselves in.